Marine grade hull liner fabrics made from vinyl with or without a foam backing or polyester carpet like fabric. 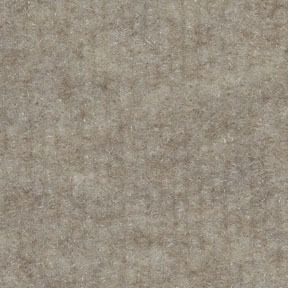 Sea Galley Marine Hull Liner Fabric is a carpet-like material made out of needle punch polypropylene. It is extremely easy to cut, fit, and mold to the desired shape or size. Sea Galley is easy to clean, will not fray or unravel and is designed to resist mold, mildew, stains, and soiling. 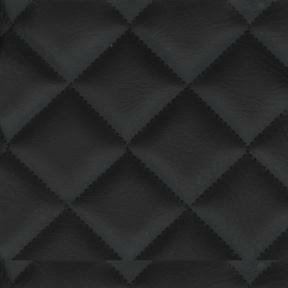 54" wide Quilted Hull liner vinyl fabric with a diamond pattern suitable for Automotive, Marine & RV uses. 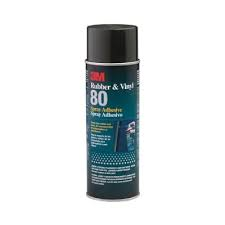 Hull Liner Adhesive Provides exceptional adhesive strength to bond medium to heavy weight automotive and marine fabrics to themselves wood, metal, particle board and other materials. Excellent heat resistance, maintaining strength at temperatures up to 200 degrees F.
Foam Backed Seaside Hull Liner Vinyl Fabric is a marine grade vinyl suitable for head and hull liners with a 1/4" scrim backed laminated foam. The scrim backing prevents the foam backing from damage during installation and allows the ability to sew on the vinyl giving a 3D effect. When the good weather comes around, it's important to have everything ready so you can soak up as much sun before the snow comes back. At JT's Outdoor Fabrics Inc., we want you to have all the materials you need to have your boat in ship shape. An easy and affordable way to help keep your boat clean is to use a hull liner. A hull liner is a material similar to carpeting that is easy to shape, mold, and and attach to the body of the boat, called the hull. These hull liners are used to protect the boat and prevent staining, mold, or mildew from growing on the boat. Having your boat clean and in perfect working order is an important part of preparing the boat for use throughout the summer. You would not rush a repair or maintenance on your boat. So why would you use a worn or poorly fitting hub liner? Here at JT’s Outdoor Fabrics Inc. we know that you take pride in your boat and put a lot of time and into it. We make sure to put the same time and care into helping our customers and offering the best possible products. We provide you and all our customers with the highest quality selection of hull liners. We offer two types of durable hull liners to protect your boat, each with three beautiful colours. The Sea Galley liners are seventy two inches in size, and are made of needle punch polypropylene, a material very similar to carpet in a house. The Sea Galley hull liner is exceptionally easy to clean and will not unravel or fray even after extended use. This hull liner has been designed to be resistant to mold, mildew, soiling, and stains. The Sea Galley Hull liners come in three great styles: opal plain, ivory ribbed, and opal ribbed. 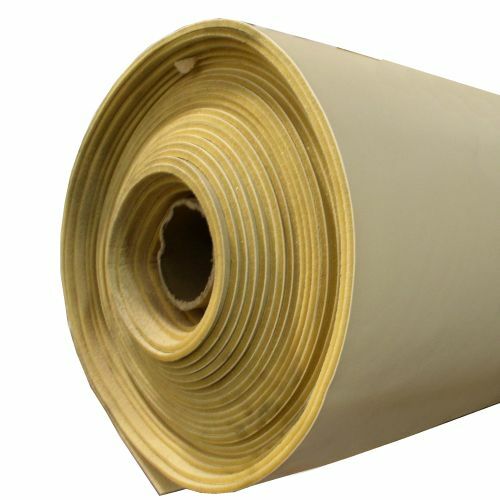 The Foam Backed Capitano hull liners are fifty four inches in size, and are made of marine grade vinyl, a product similar to the old style vinyl flooring. These hull liners have an added foam backing which has been laminated on, to provide additional hull protection. Capitano hull liners are specially crafted to prevent the fading of colour, while resisting bacteria and mildew. These products have increased strength, are easy to clean, and simple to stretch and set onto the hull of your boat. The Foam Backed Capitano hull liners come in three great colours: cloud, conch shell and beach white. Not only is it important to use a hull liner to protect your boat from mildew, mold, and stains but they liner could also help increase the lifespan of the boat. Unlike the actual hull of the boat if the liner ever gets scratched, damaged, or old it can be replaced at a much lower cost than the replacement or repair of an entire hull. The hull liner can be scratched and wear without impacting the integrity of your actual boat. Therefore using a hull liner can actually save you money by preventing or minimizing the cost of future repairs. If you are not sure which brand of hull liner you need, will fit and is best for your boat, contact us. Our knowledgeable and professional customer service team are familiar with all of our marine products and can advise you and assist you with your purchase. One of our representatives would be happy to discuss your needs with you and lead you in the right direction. We are sure that we will be able to find the best product to fit your boat. If you are looking for another type of hull liner, or any other product, that we do not currently carry, give us a call. We may be able to order it in for you, and we may start carrying that product so that other customers can use it thanks to your recommendation. We have chosen to provide our customers with the best products and hull liners based on years of personal use and experience. Our commitment to our customers is to consistently offer incomparable customer interactions and unparalleled value. If you find the same product sold by any of our competitors, we will not only match that price, but beat it by 10%. Should you, for any reason, not be satisfied with your purchased items, let us know right away so we can correct it for you! We also promise to fill all received orders as quickly as possible. We will have your boat out on the water looking great in no time!